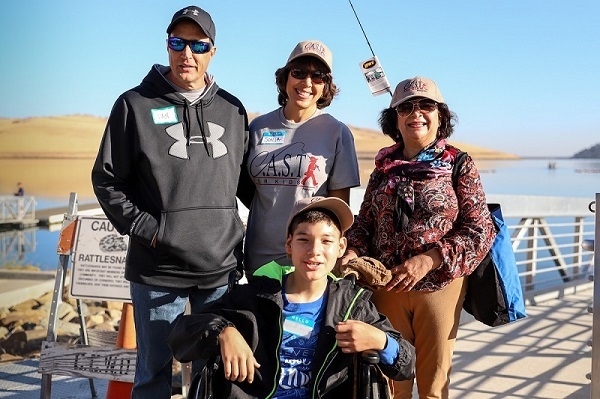 Warm weather, calm waters and great fishing at the Los Vaqueros Marina welcomed 37 students with special needs and their families to the Contra Costa Water District’s 10th annual Catch a Special Thrill Fishing Day (C.A.S.T.) for a day of fishing and friendship on October 20, 2018. 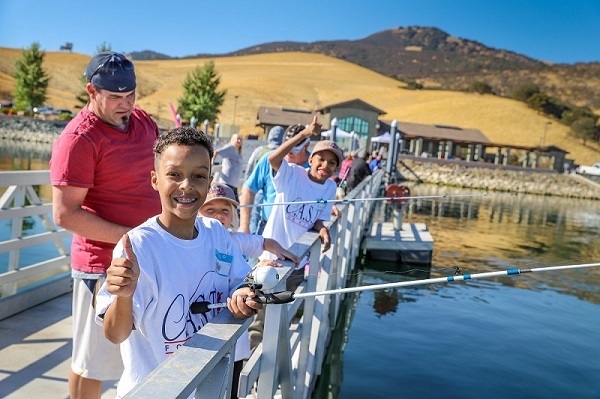 In total, more than 100 people enjoyed the event that was sponsored by a local fishing club, the Angry Anglers, the Contra Costa Water District and other generous individuals and organizations. As they’ve done in previous years, the Angry Anglers were the main sponsor and the largest body of help with over 10 volunteers; they also graciously provided lunch for all attendees. Speaking of lending a helping hand, this marked the second year that over 40 volunteers, predominantly fishing experts and families in the District’s service area came out and showed support for the participants and their families. Like most who attend, the Angry Anglers look forward to the event all year. “This is a highlight of my year, I enjoy spending time with the kids and teaching them about something we love; there’s nothing better than seeing these kids having fun and enjoying the experience,” Joe Perez, founder of the Angry Anglers, said. Each student and their family members were accompanied by an experienced angler who took them boat- or shore-fishing. 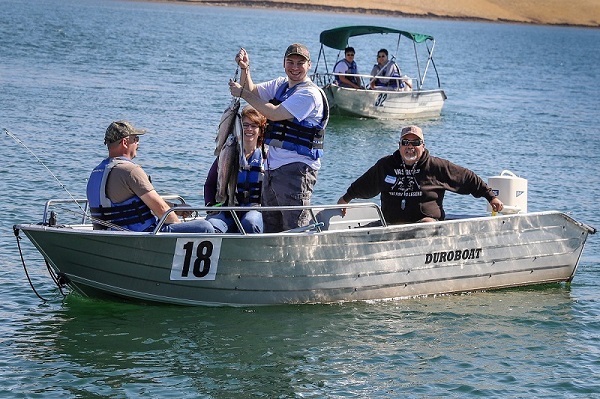 This year, several students caught the thrill of reeling one in, as LVRC planted thousands of pounds of fish at the marina only days prior—several students caught upwards of three fish!